What is Your Primary Color™? Is Your Current Role the Right Fit? About This Free Assessment » What is your ideal future? Begin your journey today! 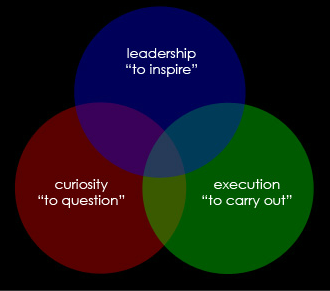 He then completed the diagram with the logical extensions (leadership combined with execution is management, leadership with curiosity is creativity, etcetera). Over the next several years, Smith refined and tested this model, eventually using this framework to develop a spectrum of ability. Working with psychologists and other experts, he was able to mathematically map distinct sets of behaviors onto specific sections of the spectrum. Additional research would eventually allow for the mapping of specific career paths over time. (See the "So What" section on the results page appearing after scoring of your test). 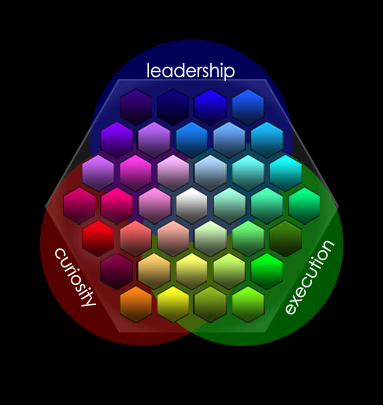 In 2006, Smith commissioned renowned psychologist Dr. William Brittain and the The Apogee Group to design, develop and test an assessment for individuals that would identify their own unique primary color (their spot on the spectrum representing the intersection of their greatest strengths and passions), and also highlight the area of the spectrum most associated with their current job. At a cost exceeding $50,000, the Primary Color Assessment was first offered online in June of 2009. It is Rick Smith's hope that this tool will provide individuals with valuable insight into their strengths and passions, and challenge them to take control over the direction of their careers. 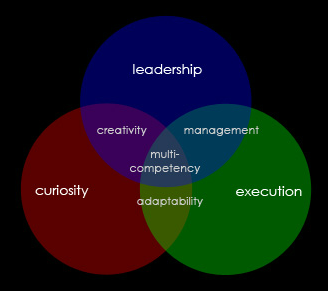 Learn more about the Primary Color concept and how it can impact your life and career in The Leap (Chapters 4-5). This survey contains a collection of statements that represent various behavioral preferences, styles and beliefs that people may find to be important to their way of life. These statements are grouped in sets of threes (triads). Sometimes the statements in a triad will seem very similar and in other sets they may appear to be very different. Examine each statement in each triad carefully. Find the one statement of the three that is either most important to you or is most like you and select the MOST button next to the statement on your screen. Next, examine the remaining two statements and find the statement that is either least important to you or is least like you and select the LEAST button next to that statement on your screen. For every set of three statements you will select one statement as MOST and one statement LEAST leaving one statement unselected. It is possible that all three statements could be a good representation of you but you must choose a MOST and a LEAST from among the choices given. In the example above, our imaginary subject has chosen "fast paced environment" as most important and "conceptualizing and planning" as least important. It may be difficult to decide which statement to chose. There are no right or wrong answers. Do not skip any triads and answer every set. The final section of questions in the survey are designed to identify where your current job activities and requirements are located on the Spectrum (so that you can compare this to your Primary Color). These sets of statements are descriptive of various jobs or organizational characteristics that map represent your current place or type of work environment. Examine each statement in each triad carefully. Find the one statement of the three that is either most important to or best describes your job/company and select the MOST button next to that statement on your screen. Next, examine the remaining two statements and find the statement that is either least important to or is at least like your job/company (current of future) and select the LEAST button next to that statement on your screen. For every set of three statements you will select one state as MOST and one statement as LEAST leaving one state unselected. It is possible that all three statements could be a good representation of your organization (current / future) but you must choose a MOST and a LEAST from among the choices given. In the example above, our imaginary subject has chosen "conservative and predictable" as MOST like the organization and "time to...plan" as LEAST like the organization. It may be difficult to decide which statement to chose. There are no right or wrong answers. Do not skip any triads and answer every set. Discovering your Primary Color - the intersection of your greatest strengths and passions - is the first of three simple steps that allow you to make the Lead toward your ideal future. The second two steps allow you to enlist others in your journey, while eliminating risk from the question. 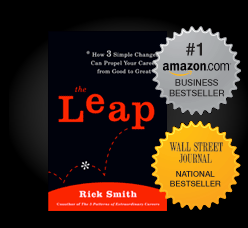 Order your copy of The Leap now, and discover how anyone can make a Leap toward a more successful and fulfilling life. © 2018 Rick Smith. All Rights Reserved.